This story is typical of most real estate transaction-involving mold except perhaps one more zero on the end. A couple from New Jersey purchased a home in Oakville Ontario for over $2.4 million dollars. The house (similar to picture) had 3,000 square foot finished basement including home theater, family room, and exercise room. 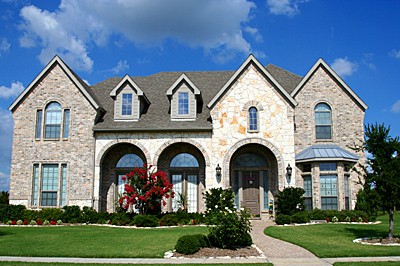 Because the home appeared to be in good condition a home inspector was not called in prior to purchasing. Before moving in the new homeowner wanted to make some improvements to the home. This is when the mold was found behind all the basement walls. Hairline cracks in the foundation wall caused water to leak in over the past 10 years. The amount of water was not significant however the 2 x 4 wood plate on the floor acted as a dam trapping the water behind the wall. 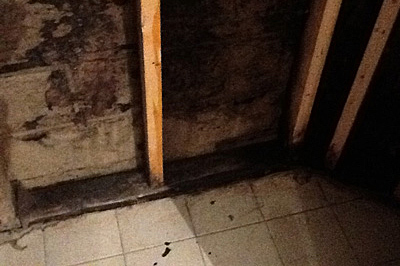 Over the years the mold grew upwards into the wood and fiberglass insulation. The cost to fix the problem was in excess of $30,000 plus legal fees. Since there was evidence of water in various places, the previous owner had ought to have known the condition and acknowledged. The repair could have been more but the saving grace was the impermeable tile floor through out the basement. If wood subfloor would have been used the cost would have been double. If FLOODSILL™ were used under the basement partitions in this case two things would have occurred. For the previous owner, any water leaks would have readily ran under the wall and been discovered as a defect at the time of occurrence. Secondly, mold would not have occurred behind the wall, as there was no trapped water.